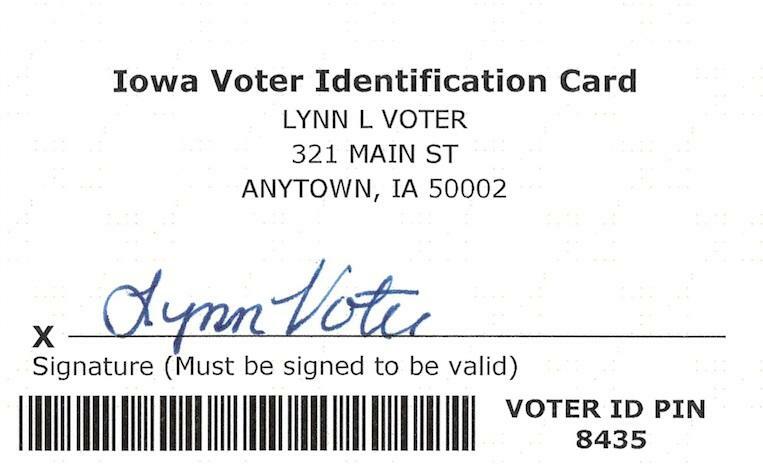 Thousands of Iowans should be watching the mail for new state-issued Voter ID cards they’ll need at the polls starting next year if they don’t already have an official government-issued ID. It’s part of Iowa’s controversial new voter ID statute approved by the Republican-controlled legislature and signed into law by Gov. Branstad. The newly-designed state-issued cards are going out starting in this week to 123,000 Iowans who are registered to vote, but who do not show up on a list from the Department of Transportation indicating voters who have a driver’s license or a non-drivers ID. Starting next year, voters will be required to present a government-issued ID at the polls, including a driver’s license or non-drivers ID, a passport, a military ID, or the new state voter ID card. Anyone who does not receive the card by late December is advised to call their county auditor. A voter who misplaces the new card will also have to contact the county auditor. From now on the new cards will also be issued to newly-registering voters not on the DOT list. On a partisan vote of 26 to 21, the GOP-controlled Senate last night approved its version of an elections bill that will require voters to present identification at the polls. The bill also requires pollworkers to verify signatures of voters, adds some complexity to absentee voting, as well as limiting the window for early voting. 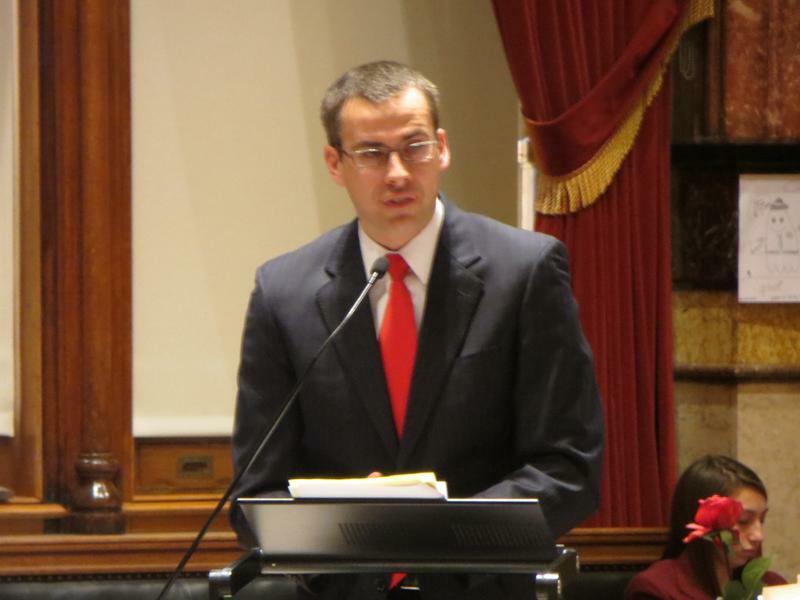 That has led Democrats to argue that the bill will make it harder for Iowans to be handed a ballot, and more complicated to complete the voting process. When Iowans go to the polls next week for schoolboard elections, they should take note of some new requirements for proving you’re a valid voter. It’s part of the Voter ID bill the legislature approved this year. 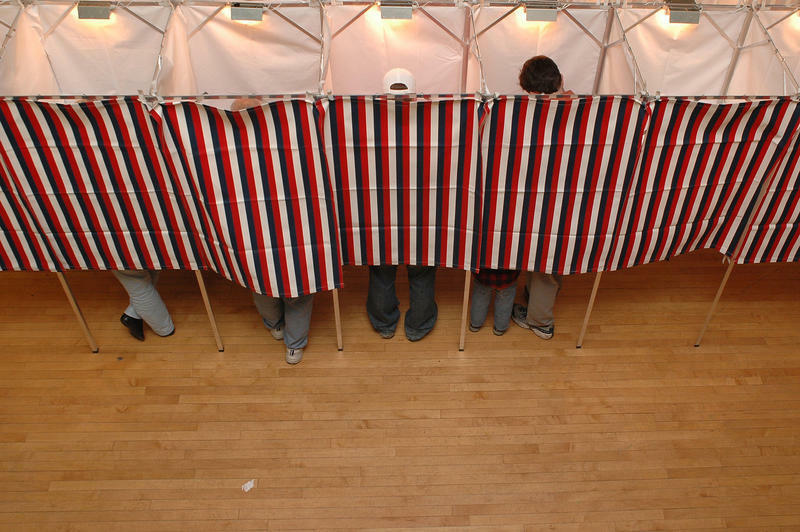 The new mandate to show identification at the polls doesn’t go into effect until next year, but in the meantime other verification will be required for some voters. 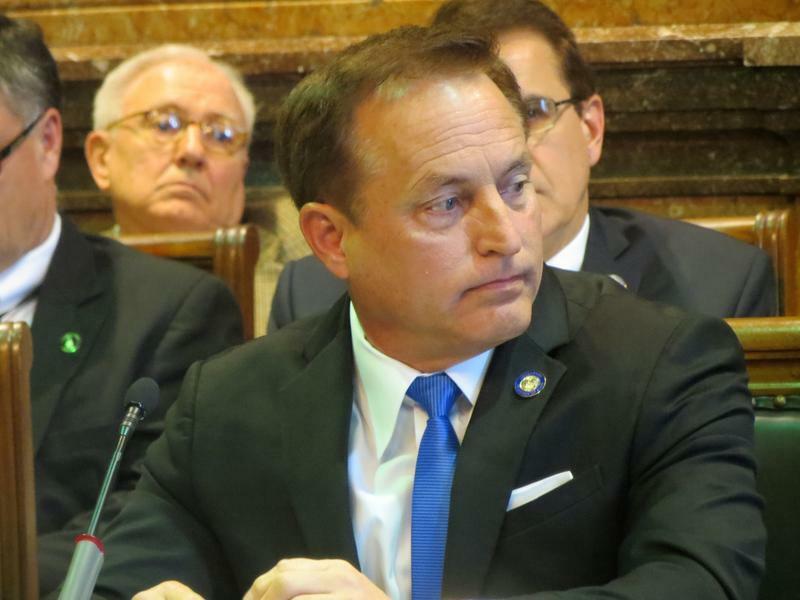 At least two of Iowa’s 99 county auditors say a directive from Iowa Secretary of State Paul Pate to verify the status of felons in a state voter registration database is an expensive and legally burdensome unfunded mandate. Early this year, counties were told that in April they would receive instructions for processing voter records to determine if any felons were illegally registered to vote. Counties received these directions Monday, and the auditors of Linn and Johnson counties are not happy.